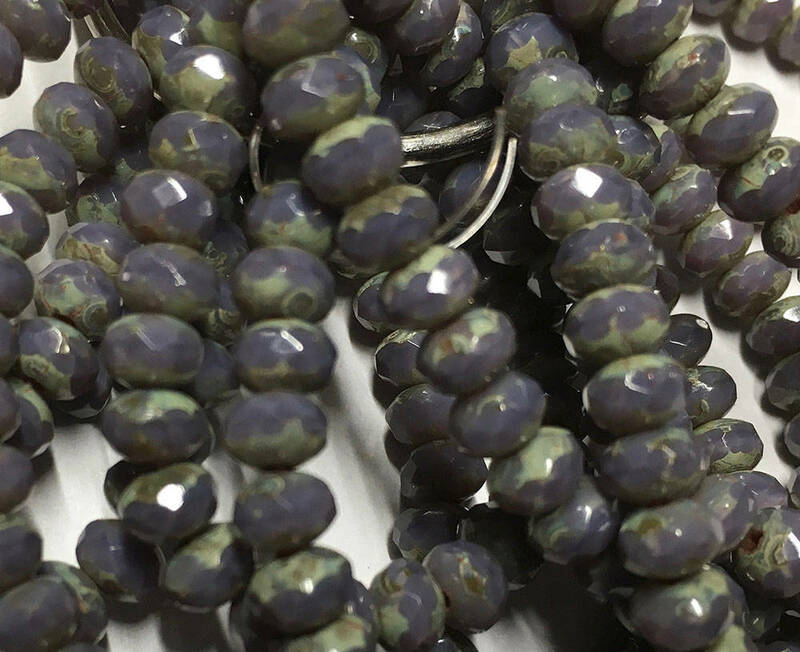 Purple picasso Czech pressed glass small faceted rondelle beads. Purple with picasso around the hole. These are 3mm x 5 mm. There are 30 beads per strand. Lovely beads and always delivered quickly! Loved these beads! Very quickly shipped.